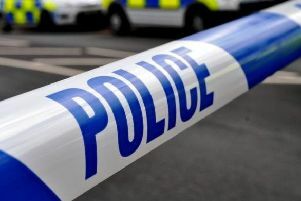 A man whose car crashed into a house in Eastbourne on Monday evening (August 31) has been arrested. Police say the man made off on foot after a Vauxhall Astra crashed in to the front of a house in Sevenoaks Road, but was arrested a short while later. Emergency services were called at 7.05pm to the scene where a blue Astra had crashed through a garden and into a house, trapping the occupants inside. Nobody is reported to have been injured. Building inspectors were called to check the structural integrity of the damaged house. A 32-year-old man from Eastbourne was arrested in Beachy Head Road around 9.15pm on suspicion of drink-driving, failing to provide a specimen for analysis and failing to stop after a road accident. He remained in custody on Tuesday morning.